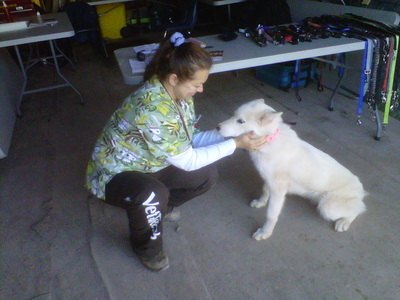 Our technicians (animal nurses) are fully trained and registered with the Ontario Association of Veterinary Technicians. 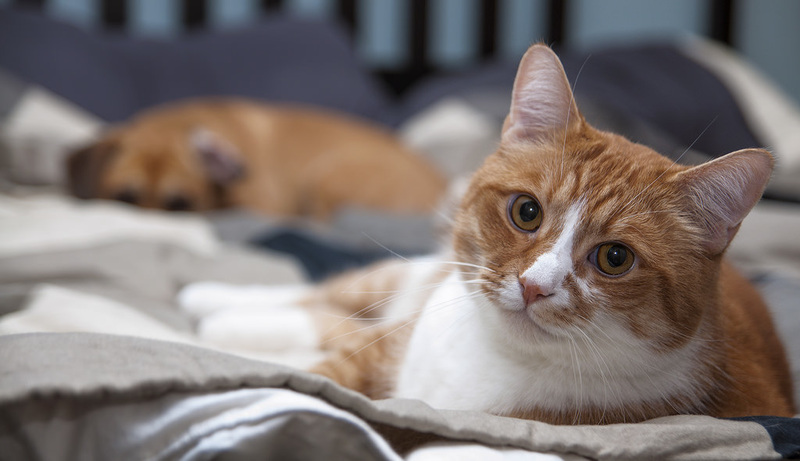 They have been specially trained to handle all of your pet's nursing needs. Our Technicians receive annual training and continuing education to stay abreast of the latest advancements in animal nursing and education. Feel free to stop by and say hello with your furry friend. Our technicians are always eager to give out lots of love, hugs and of course treats! Dee joined the Westmount Animal Hospital team in the summer of 2011 and is our Head Technician, Office Manager and Rehabilitation Practioner. She graduated from Thompson Rivers University at the top of her class. This earned her recognition from the Ontario Association of Veterinary Technicians for her academic achievements. 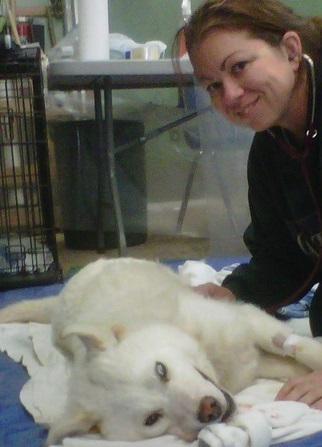 Dee has worked in the veterinary profession for over 15 years. She loves caring for all her patients while providing up to date information to their guardians. Dee enjoys surgery and critical care but has a real passion for rehabilitation therapy. 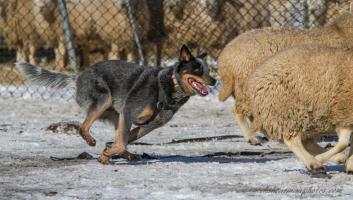 Dee completed her Canine Rehabilitation Therapy program at the University of Tennessee in 2012. She now provides rehabilitation and laser therapy to our patients, and looks forward to sharing her knowledge and services. When Dee is not at work she enjoys spending her time doing volunteer work with C.A.A.T. (Canadian Animal Assist Team) traveling to remote areas providing veterinary services to animals that have no other means of care. She also volunteers her time locally with a community outreach program providing veterinary services within our own community. When she isn't volunteering; you can find her spending time with her husband, Jeff playing music, spending time with her Australian Cattle Dogs Matilda and Rhys or with Mr. Pickles (her Rex rabbit). The whole family enjoys being outdoors , gardening, hiking and camping. Kayla joined the Westmount family in the fall of 2015. 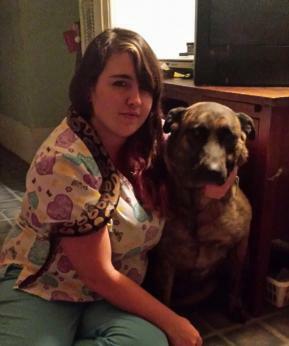 She graduated from Georgian College in August 2015 and is a Registered Veterinary Technician. Growing up she had a variety of pets from fish and reptiles to pigs and everything inbetween. Currently Kayla’s furry and scaly friends include a 7 yr old Shepherd Husky mix named See-ya, a 1 ½ year old German Shepherd named Rambeau affectionately called Beau, Poison a 4yr old ball python, and a 2 year old American Bulldog named Preston. When Kayla is not working in the clinic, she can be found enjoying her hobbies which include playing the guitar and flute, writing, drawing, photography, traveling and horseback riding. 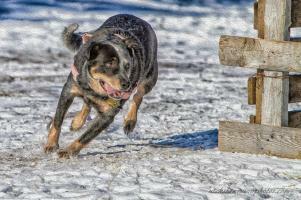 Kayla also has plans to join the Canadian Animal Assistance Team to help provide veterinary care in remote areas. Kayla has an interest in parasitology and nutrition. She plans on extending her education specializing in nutrition. Julie was one of Westmount's first employees starting at the clinic in 1992. She started as a high school co-op student, then started working full time in 1993 after completing the Animal Care program at Sheridan College. After many years of caring for the wonderful clients and patients at Westmount, Julie decided to continue working part time allowing her to have more time to spend with her young family. Outside of her "Westmount family", Julie owns a successful Pet Sitting business, "The Cat's Meow Pet Sitting" for the past 22 years. She shares her home with husband Jerod and daughters, Megan and Madelyn along with her much loved feline friend "Foster".